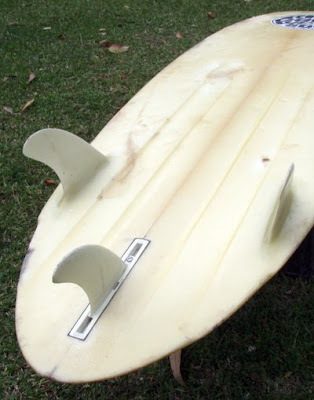 Above is a pretty crappy version of a 6'0" Bryne rounded pin tail channel bottom thruster with adjustable centre fin. Based on (or possibly one of???) 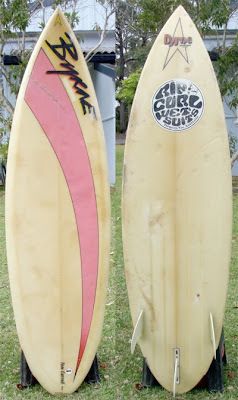 Tom Carroll's boards that he competed on from 82 to 85, winning the 82 and 84 world titles. 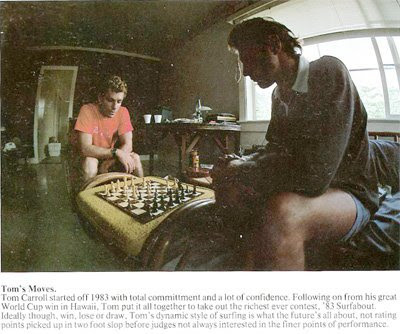 I believe he was he first goofy foot to win a world title (Rolf Aurness 1970??) 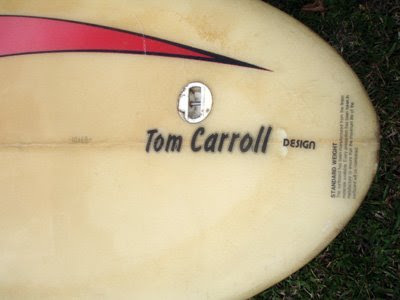 he worked closely with his shaping partner Phil Bryne, who's boards he still rides to this day. Just a comment. 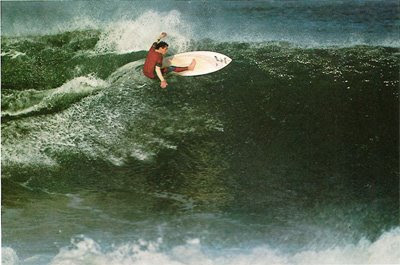 Rolf Aurness did take a world title in 1970 I believe and he was a goofy foot, right? just after he won the Coke contest.